“We hope that she finds it just as funny when she's older." Facebook users couldn't get enough of one family's unexpected photo shoot fail. 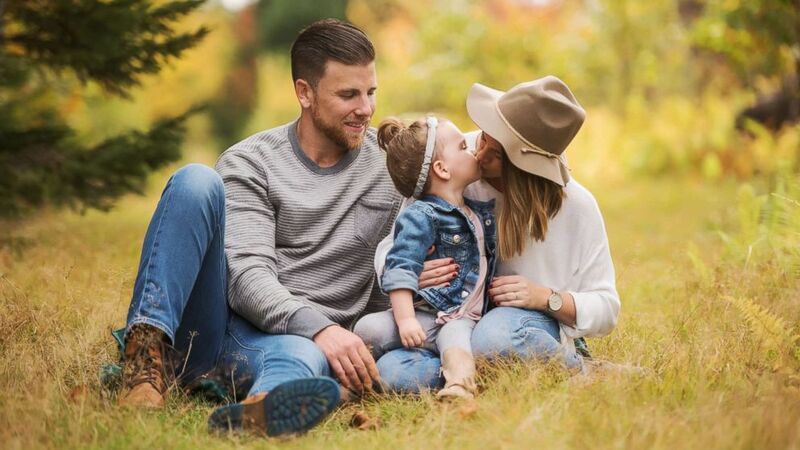 Patrick LeBlanc, Brianna LeBlanc and their daughter, Reid LeBlanc, 2, of Halifax, Nova Scotia, were posing for some pictures on Oct. 9, in honor of Canadian Thanksgiving, when Reid accidentally slipped out of her parents' hands. 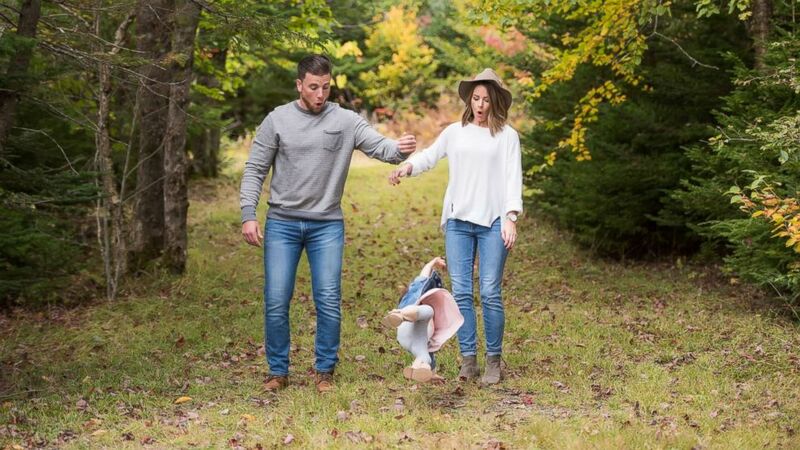 (Caitlyn Colford Photography) Patrick LeBlanc, Brianna LeBlanc and Reid LeBlanc, 2, of Halifax, Nova Scotia, got lots of laughs on the Internet after this photo was shared of the toddler falling in the midst of a family photo shoot. 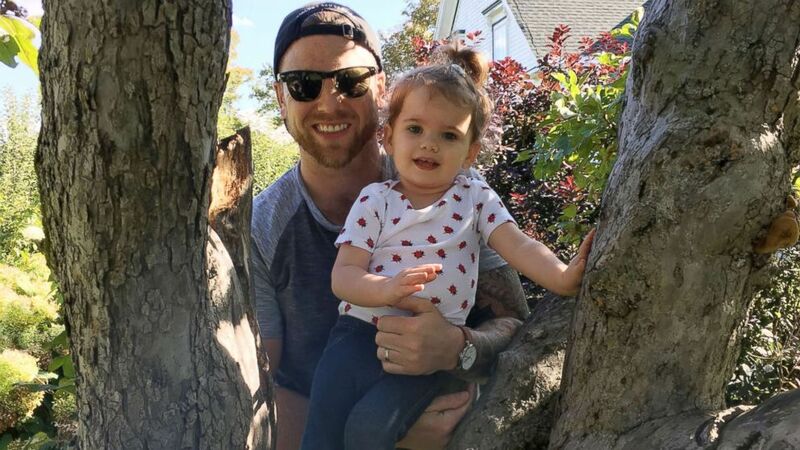 "After she fell, we immediately checked to make sure that she was OK," Brianna LeBlanc wrote to ABC News in an email. "And she was. We then immediately turned to my sister, the photographer, to see if she caught it on camera. Intense laughter ensued." "We hope that she finds it just as funny when she's older," she added. (The LeBlanc Family) Reid LeBlanc, 2, seen in an undated photo with her father, Patrick LeBlanc Halifax, Nova Scotia. The funny photo was captured by Caitlyn Colford of Caitlyn Colford Photography. "This was the last frame I shot from this moment and when I realized she fell, I immediately put the camera down to make sure she was OK," Colford said. "The second thing I did, obviously, was check to see if I managed to capture any of it. Luckily, for humor's sake, I did." Brianna LeBlanc shared the image on Facebook. The post received more than 226,000 likes and thousands of comments from parents who said it made them smile. (Caitlyn Colford Photography) Patrick LeBlanc, Brianna LeBlanc and Reid LeBlanc, 2, of Halifax, Nova Scotia, pose for a family photo shoot taken by Caitlyn Colford, Brianna LeBlanc's sister, of Caitlyn Colford Photography. "I think it makes people feel good," she said. "We need to see more of that and less judgement. We're all human." The LeBlancs think the picture will "make a great Christmas card," she added.